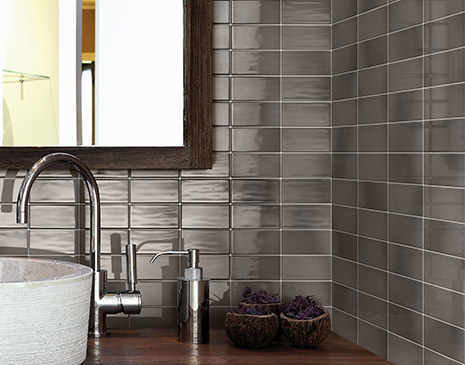 The Retroclassique series from Florida Tile is the company’s latest addition to its glazed ceramic wall tile collection. With a classic style that will never age, the Retroclassique 3″x6″ collection features slightly rounded edges and corners, a soft undulating surface and a thick 9mm body. Solid colors are kept classic with Bright White (Lily) and Almond (Linen). Along with these two classic colors, Florida Tile offers four earthy tones created by using a fumé technique giving each tile a unique pattern and natural color variation. This tile is suitable for all residential and commercial wall, backsplash and countertop applications, it is GREENGUARD® certified for indoor air quality.